If you’re looking for a way to slim your waistline without surgery, our Denver, CO, Zerona procedure at Spa Bella Medispa might be a viable option. We have served countless patients throughout the Denver metro area and have helped them achieve the slim waistline that they have always desired. We are a certified and licensed provider and our staff is friendly and highly trained. No matter your specific situation or goals, we can help you find a solution that fits your needs and budget. Denver patients have depended on our team when they desire non-invasive, fat-reducing procedures. Zerona is a low-level laser procedure that causes fat cells under the skin to break up, causing a reduction in your waistline. 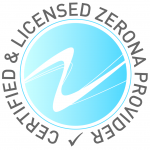 When you’re looking to get back on your feet without pain or downtime, then Zerona is the solution for you. It’s clinically proven and you will be able to see results within two weeks. We have established positive patient relationships with countless local patients who have used our Denver, CO, Zerona procedure to help them achieve a slimmer figure. When you trust the team at Spa Bella Medispa with your procedure, you can rest easy that we will work diligently to ensure the process runs smoothly and will strive to leave you completely satisfied with our services. We offer a free initial consultation to patients throughout the Denver metro area. Please give us a call today!